My name is Robert William Burke Jr. (Robert, son of Robert, son of John, son of William, son of Francis, son of Patrick, to use the old Celtic way of naming one’s self). I’m the oldest of six children. Both my parents were half Irish, so I proudly call myself half-Irish (although sometimes I think I got more than half my genes from various Irish ancestors). A love of history runs in my mother’s side of the family and being the oldest means that I remember more of my mother’s stories than most of my siblings. So I guess it was only natural that I became the family historian. I always loved hearing stories about my Irish ancestors when I was growing up. My mother was raised in part by her grandmother, Sarah Breakey O’Malley, who was born in Ireland. Her family emigrated to America around 1870 and settled on the outskirts of Chicago, just in time for the great Chicago Fire of 1871. 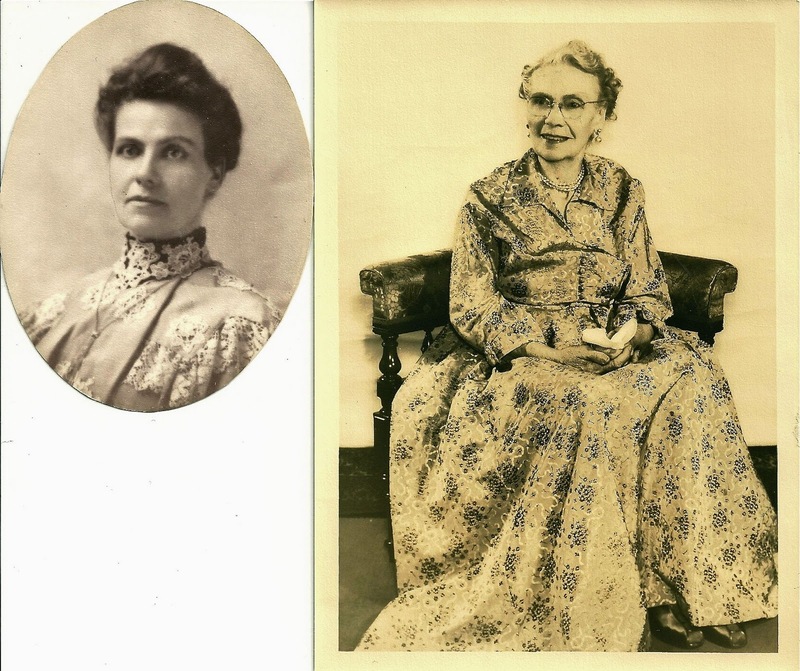 Great-Grandmother O’Malley told my mother stories about growing up as a Catholic in Ireland and the persecution that the people suffered for refusing to give up their faith. She also told stories about the saints and the wee folk (leprechauns). Fortunately, my mother was able to keep fact and fiction straight and passed these stories on to me. Like a lot of people, I really became motivated to research my genealogy after watching the miniseries “Roots” on television. As best I can recall, I formally started researching my family history in 1978. I bought a couple of beginner’s books on genealogy, one of which contained several forms for recording family history and creating family trees. Every genealogy book I’ve ever read suggests the same thing: Start interviewing your oldest relatives first. Sadly, I learned the truth about this statement when I discovered that I had a great-aunt Blanche Burke who died six months before I started my research. I never knew of her until after she died. I was born in Portland, Oregon, in the same hospital as parents. So even though I was then living in the San Francisco Bay area, I made several trips to Portland. I had relatives there, so, naturally, I interviewed them. I also visited several cemeteries. Old tombstones can contain a wealth of information about deceased relatives. I once traipsed around Masonic Cemetery, established in 1878, in Harrisburg, Oregon, for half an hour until I turned a corner and found six family graves in a row. It was like hitting the jackpot. In addition to wandering around cemeteries, I also visited a funeral home in Portland. They had records dating back several decades. These not only gave me information about my deceased relatives (e.g., date and place of births and deaths, cause of death, name of spouse, etc.) but they also gave me the informant’s name, usually a close relative. Once I had the date of death, I was able to go to the main library in Portland and look up the decedent’s obituary. Obituaries can be a treasure trove of information. They not only list the surviving spouse and children, but also sometimes mention any children who died before the decedent. That was how I learned that my great-grandfather had two brothers. Some city libraries also have an index for the main city-newspaper. I was able to look up stories about various relatives in the index and then find the stories on microfilm and then print them. These indexes saved me countless hours perusing old newspapers looking for articles. Death records are also a great source for genealogists. Unfortunately, state governments have learned that they can charge 'an arm and a leg' for these documents. Finally, U.S. and state census records can provide a lot of information. I’ve always blessed the unknown census enumerator who not only wrote down the month and year of my relatives’ births, but the actual dates as well. There’s no substitute for research, but it doesn’t hurt if you get lucky along the way. Famous and infamous ancestors are often easier to research because they are more likely to be the subjects of articles and letters. 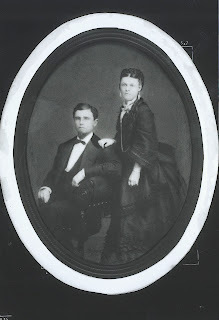 My great-great uncle, Bishop Maurice Francis Burke, was the youngest of eight children. He studied for the priesthood in Rome, and was ordained by Cardinal Costantino Patrizi Naro, vicar general to Pius IX and dean of the Sacred College of Cardinals. 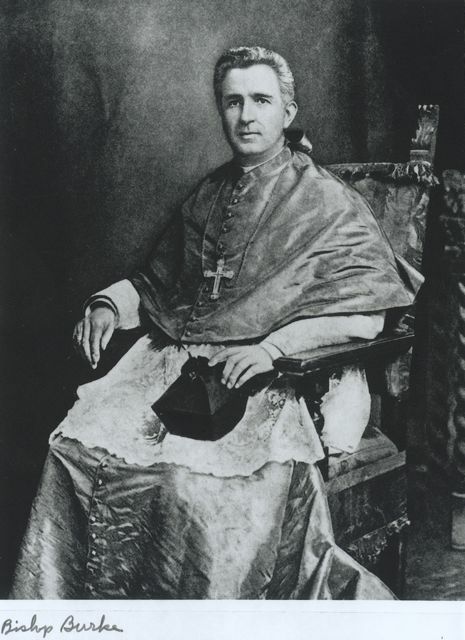 Bishop Burke spoke six languages fluently, and according to family tradition, for a time translated for Pope Pius IX during papal audiences. Finding his biography gave me his parents’ names -- my great-great-grandparents. However, I was unable to trace my Burke lineage any farther back for almost 30 years. Then, about three years ago, I attended a one-day seminar about Irish genealogy sponsored by the California Genealogical Society. At the seminar, I learned that the old Irish church records (Catholic and Protestant) were being put online. The Burkes had come from County Limerick, and the records were available on RootsIreland.ie. Searching for names is free, but looking at an individual record costs 5 euros. Burke is a common name (the 14th most common surname in Ireland and the most common among Norman-Irish families). However, I was eventually able to locate my great-great grandfather’s baptismal certificate. Not only did it contain the year of his birth, but, more importantly, the names of his parents. 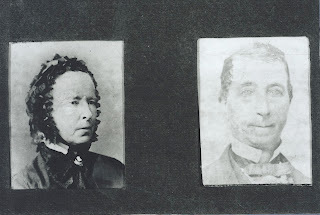 Finally, after waiting for 30 years, I knew the names of my great-great-great grandparents, Patrick and Mary Noonan Burke. Having a famous ancestor (whether a direct or collateral ancestor) can also provide side benefits. My son John is named after my grandfather John Lonergan Burke. My grandfather was named after his mother’s brother, John Lonergan, who fought during the American Civil War. When I was teaching my son about the Civil War, I was able to personalize it for him by showing him a family connection that went back to the 19th century. Another lucky happenstance occurred when my uncle (John Burke, also named after his father), wrote to the Diocese of St. Joseph, Missouri, which Bishop Burke had led from 1893 until his death in 1923 (on St. Patrick’s Day, no less). While my Uncle John wrote to the diocese, John Bongart, unknown to us a third-cousin, also wrote to the diocese seeking information about the bishop. 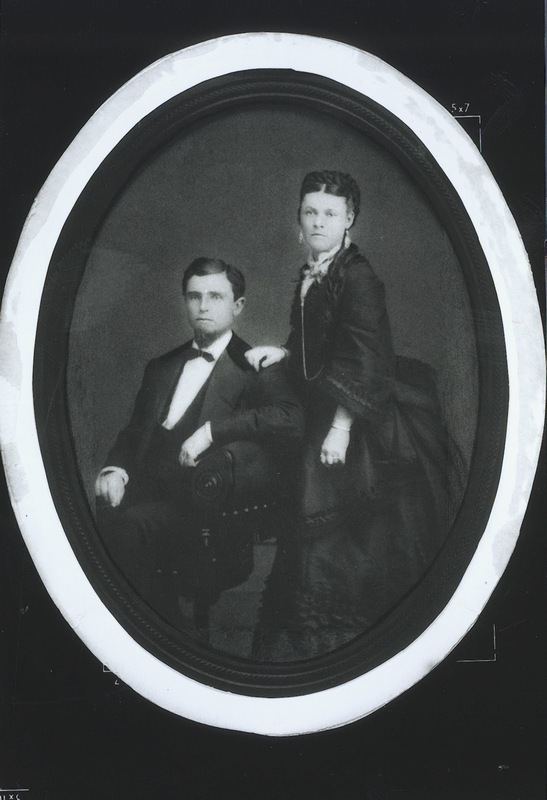 John Bongart's maternal grandmother had been a Burke. The diocese put John Bongart in touch with my Uncle John, and I soon contacted this cousin, who lived then in Florida. One aspect of researching my genealogy I particularly enjoy is collecting old family photographs. Many years ago, one of my aunts was kind enough to have negatives made from all her family photos, going back to my great-great grandparents on the Burke side of my family. Someday, I hope to publish a book about both sides of my family, with a special emphasis on my Irish ancestors, who left the land that they loved to come to a New World, in order to give their children and their children’s children a better life. More than anything, I want my children to know where they came from and to take pride in their Irish ancestry. This was supposed to be a short essay, but you know how the Irish love a good story. Still, I hope you’ve enjoyed reading about my quest to discover my family history, and that you find valuable the sources I have used for discovering information about my family. Robert Burke trained as a lawyer and now works for a publishing house focusing on legal data and information. He and his wife, Helen, hail from Antioch, California. They have three children, Katie, 20, John (Sean), 17, and Michelle, 13, all imbued with an appreciation for their Irish heritage. If you would like to discuss genealogical research, particularly Burke ancestry, you can contact Bob here.